Hello friends, I am currently in the middle of moving to a new apartment so that's why I haven't been active much this week. Will be transferring my internet, electricity and such next week, then unpacking all over again at the new place so I won't be posting much. I will be back around mid-July and hope to catch up with you all then. Coming in July I have two interviews lined up, one with Jane Godman and another with Alyne De Winter. Also tons of movie reviews and new segments of my novella. I hate not being able to write here, this blog is truly a labor of love. Sigh. But on the bright side, I will back back in a few weeks!! 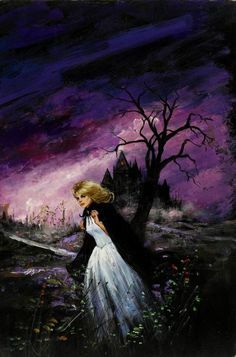 Anyway, today I found a couple of hours to browse through some of the great (though lost now to most of the modern world) gothic romance movies of the 60's and 70's. I was a bit aggravated that a few (of course the ones that sounded especially good) were in other languages with no subtitle. Sigh. 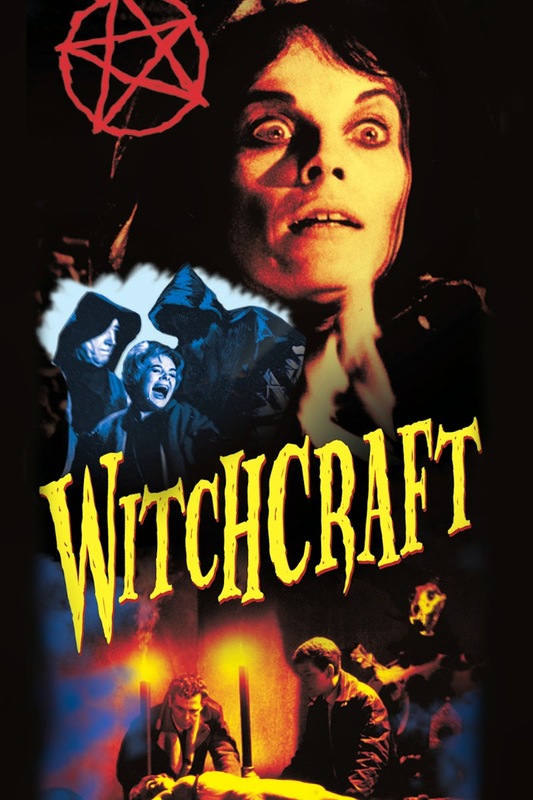 But, I did manage to find a pretty good movie titled Witchcraft. The movie revolves around a three-hundred-year feud between two families, the Lanier's and the Whitlocks. Three hundred years prior, the Lanier's buried a witch alive and took over the old Whitlock castle. Now, centuries later, the Lanier's have made preparations to doze over the old Whitlock cemetary for new land development. Morgan Whitlock and his niece, Amy, beg the developers to stop dozing out the headstones of the cemetary, as they are desecrating the graves of their ancestors. Yet the pleas come to no avail and the tomb of the long-dead witch, Vanessa, is over-turned and she escapes into the night to seek revenge. One by one, strange accidents begin to happen to the Whitlocks. Rumor has it the Whitlocks still practice witchcraft. Old grandmother Lanier knows of the legend. She has seen the witch at work and must race against time to battle an ancient evil before it destroys them, one by one. Personally, I really enjoyed this movie. 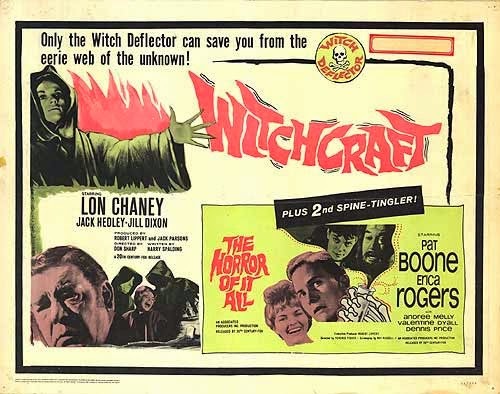 It hit the theaters in 1964 and was well-received. 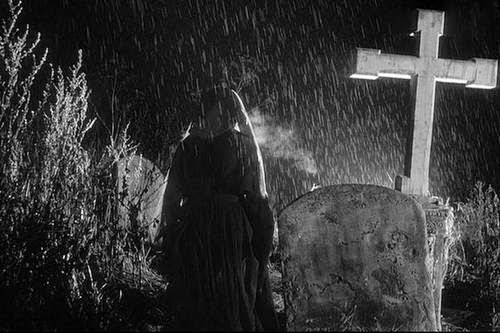 I've seen quite a few horrific old black and white movies, but this was not one! Great actors, great story-line, wonderful amount of suspense and not too much gore. Also had a dash of romance. You can watch the full-length movie on youtube right HERE! Here is a list of gothic romance new releases, listed fresh from the 'new release' section at Amazon. 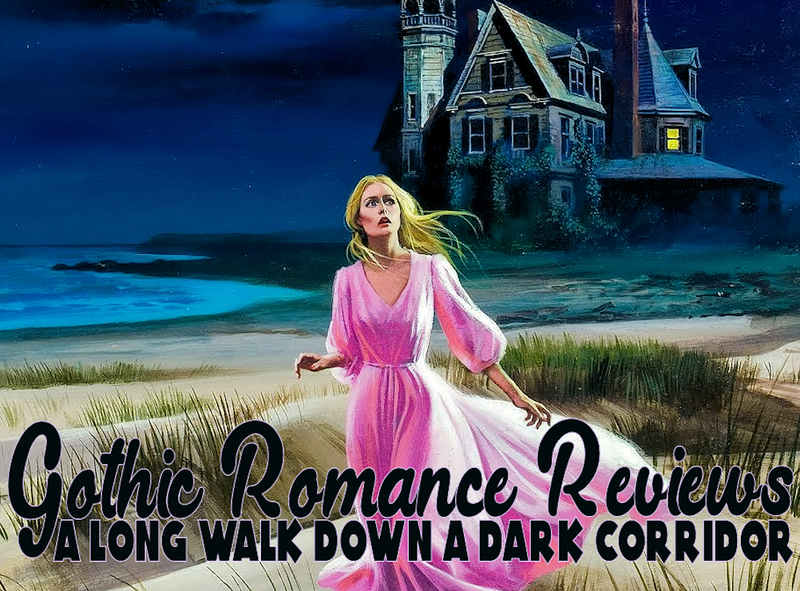 I've weeded out what I felt were only the best books most reminiscent of the vintage gothic storyline. I've added these to my wishlist, perhaps you will too! Lady Ophelia longs to be daring and bold, but her mother’s illness has stolen her creative fire. 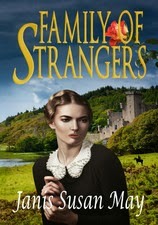 Condemned to an isolated country cottage after the death of her idealistic father, she and her mother are forsaken by family and all of society. Disappointed by those she once trusted, Lady Ophelia lovingly nurses her mother knowing that her own dreams of being an artist will never be realized. That is until she meets a devilish aristocrat who reawakens her desire to be wild. Viscount Stark has never known love. Reputed to be a rebel and a rake by all, at heart he is anything but. When he meets Lady Ophelia, he is struck by her haunting presence. Will he continue to play his wicked games and risk ruining the last of Lady Ophelia’s wounded heart? Or will he dare to be the gentleman he always wanted to be and find a love he never thought possible? 40th anniversary edition with bonus content! 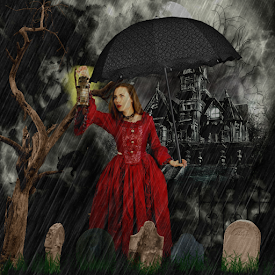 In this celebrated gothic romance, will Miranda be the next victim of Barrett’s Hill. When her father’s will sends strong-willed, irreverent Miranda to the New England estate of nearby Barrett’s Hill to live under the guardianship of her elder cousin—the sour Reverend Smathers—and his scheming family, trouble quickly brews. Two decades earlier a murder took place on Barrett’s Hill, and the suspects are few. 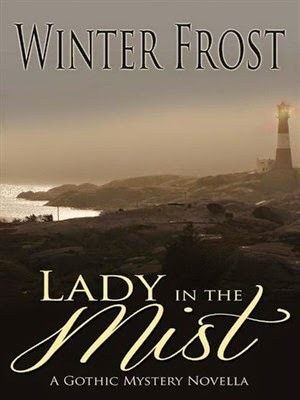 Miranda’s spirited investigation raises the fear of public scandal among her hypocritical relatives—the Reverend’s alcoholic wife and viciously manipulative daughter—especially since the suspects are the Reverend, his toadying assistant Fathimore, Miranda’s own father, and the darkly irresistible Adam Traywick. Adam turns his masterful charms on Miranda, and she falls in love. Yet as it becomes clear she’s provoked the killer’s survival instincts, with herself his target, she can’t help wondering if Adam is seducing her or planning her murder. All these books are available at amazon.com (I almost always buy mine on Kindle). Hope you enjoyed this installment of 'Reading Radar.' Happy reading, friends! The next day I awoke to the bright morning sun setting my small room alight. Grumbling to myself about country mornings and how quickly the sun falls across the mountains out in the middle of nowhere, I managed to drag myself out of bed. After a quick shower, I dressed in a pair of black leggings with a slouchy sweater. I applied some lip gloss and gave my hair a good brushing before heading down to breakfast. My back ached as I made my way down the steps, old fashioned and steep as they were. The dull pain sobered me to the events of late last night. 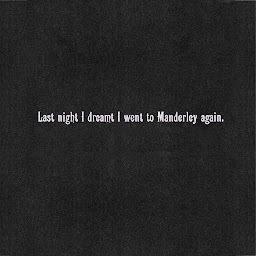 Even amidst the reverie of sleep deprivation and a case of nerves, I knew I did not imagine nor hallucinate the ghastly haunting I’d experienced the night before. I had always been a girl of logic, strong in mind. I was not given to fanciful stories and fantasies. Thus, I knew without the shadow of a doubt that the ghostly image was contrived to purposely frightened me. 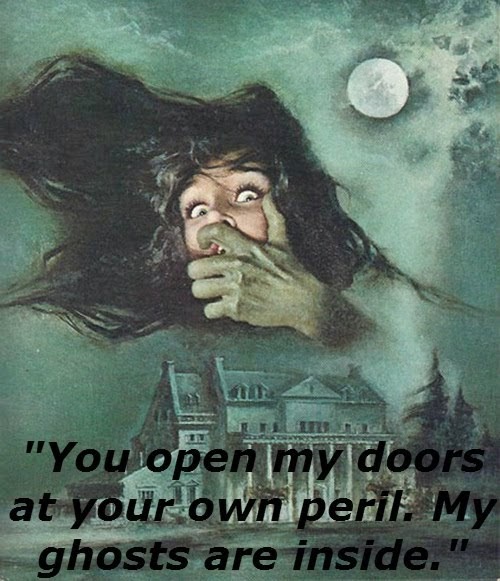 I also was not apt to believe in ghosts and haunting apparitions, so the only other explanation was that someone at Hollow Wind House meant to scare me away. Only, I had no idea who would do such a thing, nor why. I’d come to help Grandpa, I posed no threat to anyone by any means...or did I? I looked up, surprised by the greeting. A plump lady with a mop of black curls stood over a skillet full of scrambled eggs and sausage links. She looked to be in her late forties or early fifities. She was a stranger to me but her smile was contagious. Grandma had never employed help, so I was taken by the notion that she must be a nurse or a visiting relative. Yet, no one had informed me of either possibility. “Pleasure to finally meet you too,” she drawled as she flipped the eggs and began a biscuit batter with an expert hand. Her country accent led me to believe she was probably a local. “Have you lived here all your life?” I inquired. “What a pretty name,” I said, looking out the screen door window, distracted. Shadow sat at her usual perch on the porch, and in the near distance I noticed a young man. I couldn’t really discern his features as he ducked in and out from under Grandpa’s old ’87 Chevy. That was another pitfall of my grandparents, they refused to buy anything new until the old was absolutely unusable anymore, cars and clothes were not excluded. I used to hate when Grandma insisted on mending my torn clothes, rather than replacing them. I knew we didn’t have a lot of extra money to go around, but I was sure the other school kids noticed my raggedy jeans and sweaters, although no one ever outright said anything. “I stay here five days a week, I do.” Libby continued, not noticing my preoccupation with the young man outside. “Your grandparents gave me the guest room at the very end of the hall, so homely, feels almost like my own place,” she gushed thankfully. So, she lived here as well. I mentally added her name to the list of possibilities of those who could have ‘haunted’ me last night. Although, as I looked at this short, pleasant woman, I doubted she’d have enough gall to ever do anything so mean spirited. My belly was grumbling, and I soon grew tired of trying to catch a glimpse of the young man’s face. I took my usual seat at the table, noting the empty chair to my left that Vanessa had occupied during all my childhood dinners. I suddenly had a fierce longing for the girl. I hadn’t seen her in years, but I knew she probably hadn’t changed much. She’d always been the more beautiful of us two in her shining strawberry blonde hair and flawless skin as opposed to my dirty brown curls and freckled cheeks. But I’d loved her as I would have my own sister. I had never felt any jealousy or sibling rivalry as some of my college friends seemed to experience with their sisters. If anything, I was drawn to the light spirit of Vanessa, how she could brighten a room merely by entering it. I found it almost impossible to believe she’d become angry enough at Grandpa to leave, especially if he was ailing. Yet I was also aware what strict limitations my grandparents had expected us to live by. We’d sparsely had any friends or been allowed any outings. Dating had been absolutely forbidden. I reasoned Vanessa had found these rules oppressive and terribly limiting during her teenage years. Perhaps she’d finally hit her breaking point when Grandpa insisted on finding her a suitor of his own and refusing her the right to make her own choices. After all, she was nearly twenty! “Why, you’re a million miles away, dear,” Libby had set a steaming pot of coffee on the table. She handed me a teacup and saucer before placing a series of creams and sugar by the pot. “You got something on your mind? You can tell old Libby, sometimes it’s best to get things out in the open.” She flashed me a smile as she set a heaping plate in front of me. I looked at Libby, taken aback. Whatever was she referring to about decisions and love? Of course, Grandma had said Vanessa ran off with her new boyfriend, Keith, but what troubles had ensued? Had something terrible happened? Was there more to this story than I’d been told? I put down my fork, no longer hungry. “Whatever do you mean about love troubles, Libby?” I asked the evasive woman who’d turned back to piling the dishes in the sink. “Why miss,” she walked close to me, bending her head down and lowering her voice to a whisper. I gasped and mixed a spoon of cream into my coffee, a mindless preoccupation. I found it hard to believe Vanessa would involve herself in such a scandal, but then I hadn’t seen her in years. People change over time, I knew that much, even I had changed a bit myself. 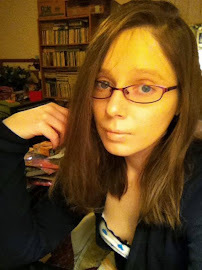 Straightening my hair, learning the tricks of applying make-up, transforming myself. Who was I to believe that Vanessa could not change, also? “So what happened next,” I asked Libby, trying to pretend not to care either way. I didn’t want the woman to think I enjoyed indulging in petty gossip, although from the looks of it, she appeared to. Stay tuned for part 4. New segments added every Monday and Thursday! This is my very first 'round-up' Wednesday post. Hope you enjoy seeing all the little misc. things I've done this week. First we'll begin with some creepy-great shorts I found (and read) from amazon. 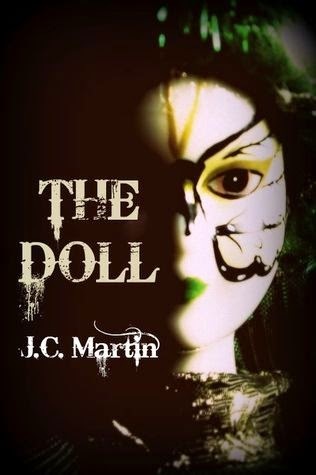 They are a mix of paranormal, a few have some gothic elements (particularly The Doll), but the best thing is they are FREE as kindle downlaods...so go grab them! Seriously LOVED this one. You really gotta read it!. Dark and still, the pool waits for Rachel Blanchard. She's about to dive in for an evening swim, but the waters may not be as empty as they appear. Deep within, something is waiting. And it doesn't want to her to leave. Ever. This one was short and sweet...but worth the download. Brooke also has some great-looking gothic-romance novels that are on my to-be-read list if you want to check her out on amazon! 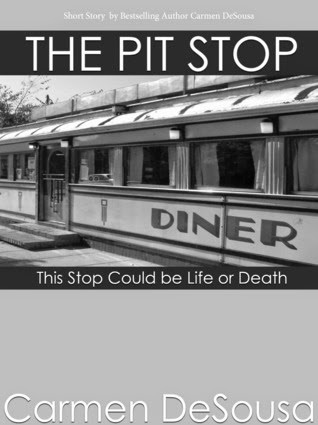 The Pit Stop (This Stop Could be Life or Death) is a nine-thousand-word short story by bestselling romantic-suspense author Carmen DeSousa. It's a quick one-hour read, but never fear, you can jump back into the life of Detective Mark Waters in The Depot (When Life and Death Cross Tracks). 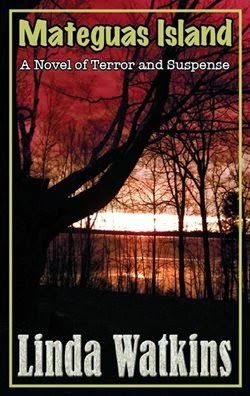 This was a pretty well-written little novella with lots of paranormal aspects. The main character was a male so it does deviate quite a bit from Gothic Romance. It's still captivating and worth the read if you like creepy/scary stories. Also this week while I was browsing, I came across a really great website that offers up lists and challenge list for different things and genres (movies, books, etc). 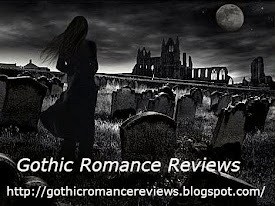 It's called List Challenges and has quite a few gothic-romance and paranormal-romance related lists, you just got to do the searches. Oh, and I don't want to forget to talk about Goodreads. Seriously, I think I'm becoming obsessed, but I suppose there's much worse things to be addicted to than books, eh? Anyway, in the Gothic Literature group we are reading Lady Audley's Secret for the month of June book discussion. I got my version free for the Kindle (can we say another addiction? ), so you can go grab yours and join us if you'd like! I'm having way too much fun with that website, it's almost sinful! 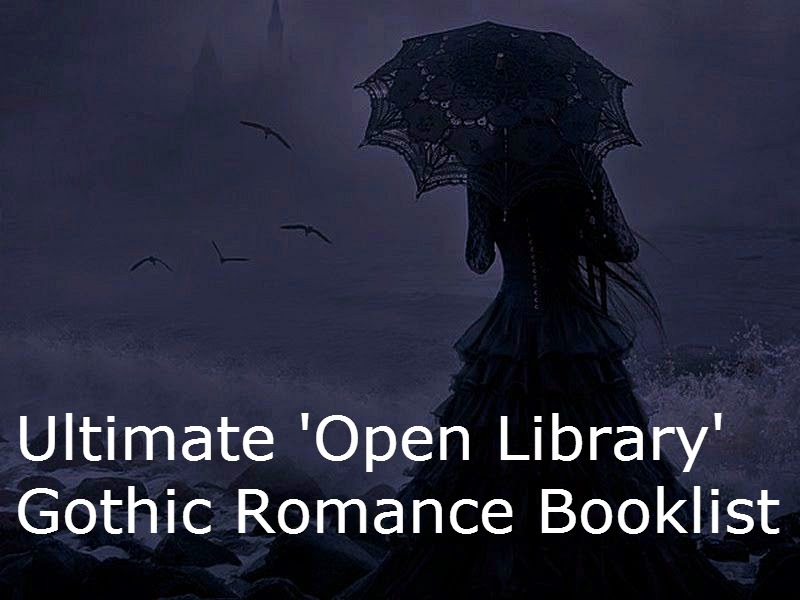 I have also added quite a few new titles to my Gothic Romance e-book list on Open Library. In my list now is 615 gothic romance e-books free for download! Free! Some of these books cost an arm and a leg on Amazon and Ebay so go take advantage! I have a program where I can download mine straight to my tablet and read away just like on a Kindle...or the Kindle app. Yes, that simple. I think I'll do a future blog post on how easy this is to do. Don't ever think because they are ebooks that you are limited to reading pdf's on your computer! You're not! I hope you are enjoying the first few installments of House of Hollow Wind. I'm a poet usually, so don't judge too harshly. Though I do think it's developing pretty decently. You can't complain, it's free as well! Ah, but that concludes my good news for you. More great posts scheduled for the rest of the week. Now go grab yourselves some free reads and enjoy!! The Silver Scream: Lifetime TV Releasing remakes of the Dollanganger Series! I am a huge, fanatical fan of V.C. Andrews (I actually own EVERY.SINGLE.BOOK and have read them all except for the most recent series). I also own the original Flowers in the Attic movie. So, needless to say, I was ecstatic (beyond measure) when I saw the very first trailer for the new remake movie of Flowers in the Attic! You can see that wonderful trailer for yourself right here. Unless you're not much of a TV go-er, Lifetime debuted the remake movie of V.C. Andrews best-selling novel Flowers In the Attic. The movie was released in mid-January of 2014 and broadcast on the Lifetime Television channel in the region of the United States. I was uber-excited to watch the movie and wasn't disappointed. I feel the script for the new version of the movie did much better in conveying what really happened in the book, and in a much more realistic sense. I was particularly impressed by the role of the Grandmother (played by Ellen Burstyn). She truly captured the essence of evil indifference toward her own daughter and grandchildren. The ending of the movie was haunting, watching the children escape together (minus Corey, who was tragically poisoned to death). Watch the 90 Second trailer here. Book One of the Dollanganger Family series. 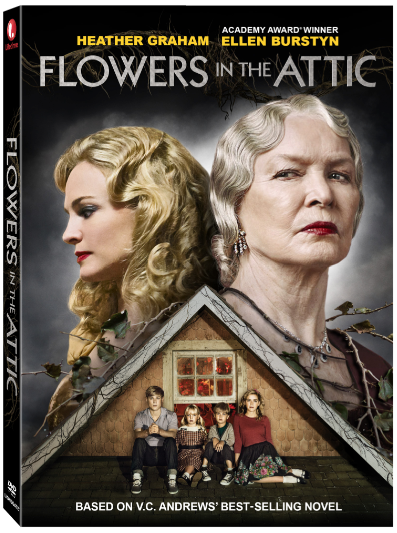 You can read more fully about the Flowers in the Attic movie at their respective pages at IMBD and Lifetime. 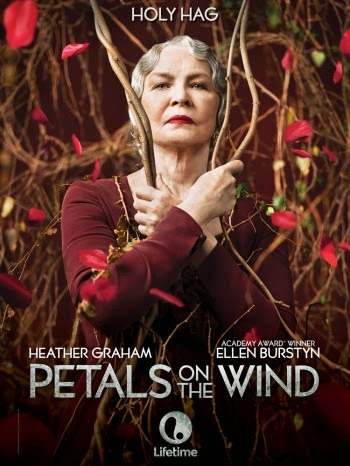 Lifetime TV announced, soon-after, the book-to-movie feature of Petals on the Wind, which broadcast on May 26th on Lifetime Television in the United States region. I honestly enjoyed Petals on the Wind more-so than I did the first movie. It seemed the actors had really fallen into their roles at this point. I was blown away by the story-line of Cathy's (Kiernan Shipka) romance with Julian (Will Kemp) as well as the theatrics of Corrinne (Heather Graham). You can read more about the Petals on The Wind movie at their respective pages at IMBD and Lifetime. Lifetime is currently in development on three additional V.C. Andrews’ books, including "If There Be Thorns" and "Seeds of Yesterday," both from the Dollananger series, and the standalone novel "My Sweet Audrina." My Sweet Audrina is one of my all-time favorite V.C. Andrews books (alongside Ruby) so I'm really excited about this one! The whole movie thing has actually gotten me really inspired so I might just begin rereading the VCA books and posting reviews!